On July 17 Margarita La Diosa De La Cumbia received the highest award that Colombia government gives to its illustrious citizens in different arts and sport fields: Knight Degree. Margarita La Diosa De La Cumbia traveled to Bogotá to attend to the Constitution Hall of the Republic Senate. There in an emotional and solemn act, she was recognized for the work that has developed for the cultural identity of her country, especially in Mexico. Awarded “Knight Degree” by Colombian Government. “The Muse” as Best Latin Music Solo Artist in OYE! Awards. “Esta Vida” : Social Music Award 2012. “30 Años de Cumbia” : Reached Double Gold and Platinum. 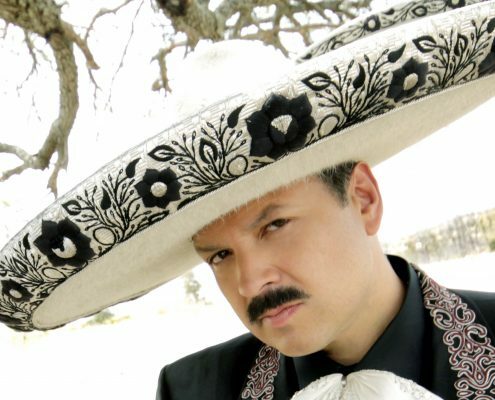 “30 Años de Cumbia – Margarita en vivo desde el Auditorio Nacional” the newest album of “La Diosa de la Cumbia,” sales reached certified as double GOLD and PLATINUM disc by Amprofon. Margarita Vargas Gaviria was born in Medellín. She was raised along with her family in Barranquilla while her father served as a top executive for a colombian radio network. Her full foray into the music world came at that time when she started singing at friends parties. She did it with local groups in hotels lobbies and in other events when she was only a teenager. Often she dreamed about having a boyfriend and a normal life in her beloved Medellín. By that time the dream of becoming an artist began to take shape. She realized that she enjoyed being on the stage and people loved her voice. Among her various jobs Margarita began recording jingles for radio and television in Discos Fuentes studios. 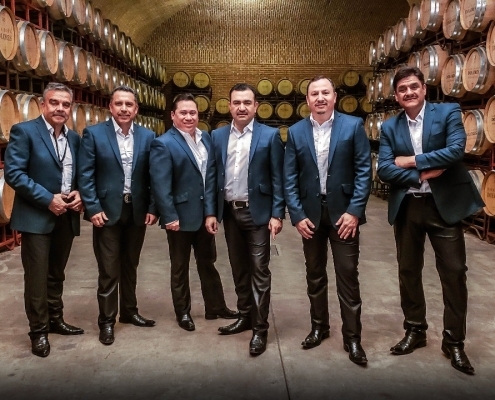 There Sonora Dinamita’s producer Victor Nanni (who years later would give her the nickname of “La Diosa de la Cumbia”) heard her and said he wanted “that voice” for the band. It was beginning to be well known not only in Colombia but also abroad, especially in Mexico. 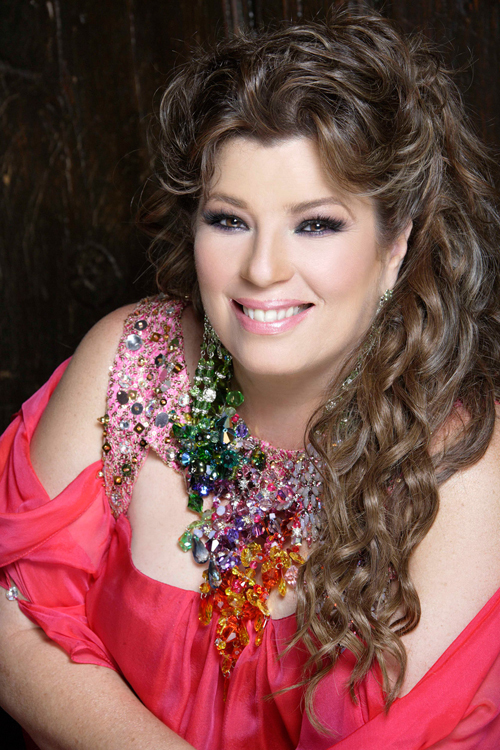 Without belonging entirely to “La Dinamita”, Margarita recorded hits like “Oye” (Platinum in Mexico), “La Cumbia del Sida”, “La Maleta” and “La Cortina”. Among others that allowed her to become massively known and later gave her the opportunity to move to Mexico with the band in 1986, a few months after the quake of ’85. After years of quiet life in Colombia, coming to live to Mexico was a ‘shock’ for her. Concerts began along with success. Her life changed completely. There were six years of tireless touring all across the country and much of the United States. In 1990, she decided to search for her own luck as an artist. She left the Sonora Dinamita and signed up with Discos Peerless to record her own band “Margarita y su Coco Loco”. That only lasted two years and then the world would know it as the famous “Sonora de Margarita”. From that moment, Margarita began a dizzying adventure that led her to record 26 albums, from unpublished, concept and compilations records. Her evolution as an artist is undeniable, such as the love the public professes her thanks to her unique style of singing and her charisma. For 10 consecutive years she has been recognized by magazines such as Furia Musical as Best Tropical Music Performer and has earned four times (2003, 2006, 2008 and 2012), the prestigious Oye Award for recorded music, among other major awards. In November 2005, took place one of the most important events in “La Diosa´s” life and career: the celebration of her 25th artist aniversary in the Auditorio Siglo XXI of Puebla, which became the “Margarita Sinfónica” CD/DVD, a unique and unrepeatable big party, where Margarita performed a perfectly balanced musical tour combining her famous cumbias and the most representative Colombia’s popular songs, all fused with the Symphonic Orchestra of the Puebla State, her performance with Mariachi 2000 of Cutberto Pérez and also performing duets with La Banda El Recodo, Bacilos and Pesado. In 2007, her career and importance as an artist were recognized by Televisa. There she was invited to participate along with several music stars (José José, Ednita Nazario, Maria Conchita Alonso, Napoleon, Ricardo Montaner, Yuri, etc.) as coach of “Cantando por un Sueño” and “Los Reyes de la Canción” all TV shows. 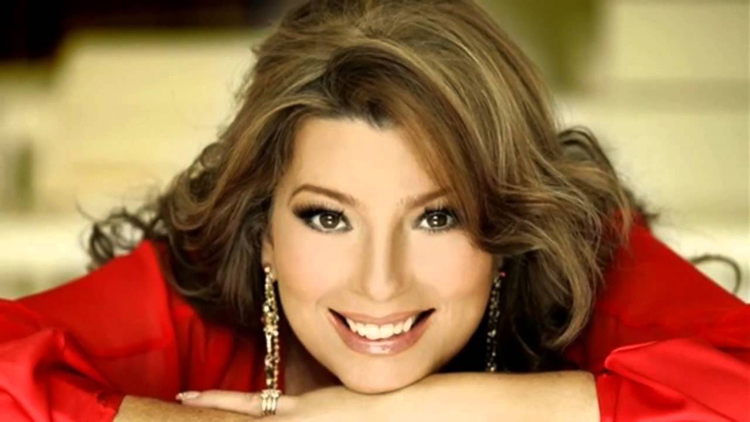 In the late 2008, Margarita was invited by Armando Manzanero to participate in the project called “Las mujeres de Manzanero” (Manzanero’s Ladies), an album in which Margarita sang “No ha pasado nada”, one of Manzanero’s greatest hits. After that, Margarita participated in the album tour along with other great singers such as Dulce, Rocío Banquells, Arianna, Tania Libertad, Edith Márquez and Lisset. In 2009 Margarita released the album “Me Quedo Contigo” which is her latest studio album, the 25th in her career, and which she has described as “the most dancing and cheer up album” in her career. As a significant event, the album included a duet with Aleks Syntek, this feature track “Si Supieras” a cumbia/pop, which Aleks wrote especially for La Diosa de la Cumbia. Margarita’s success definitely is without a doubt, the result of 31 years of hard work, her music and contagious joy have become a compulsory element of all parties; she is a strong and passionate personality whose life has become a music icon, her audience go where ever she goes and fills halls and theaters just to see her and hear her sing, get an autograph or take a picture with her. She has created a code of communication with her people. Men consider her “their girlfriend” that they seem to enjoy when she sings against them. 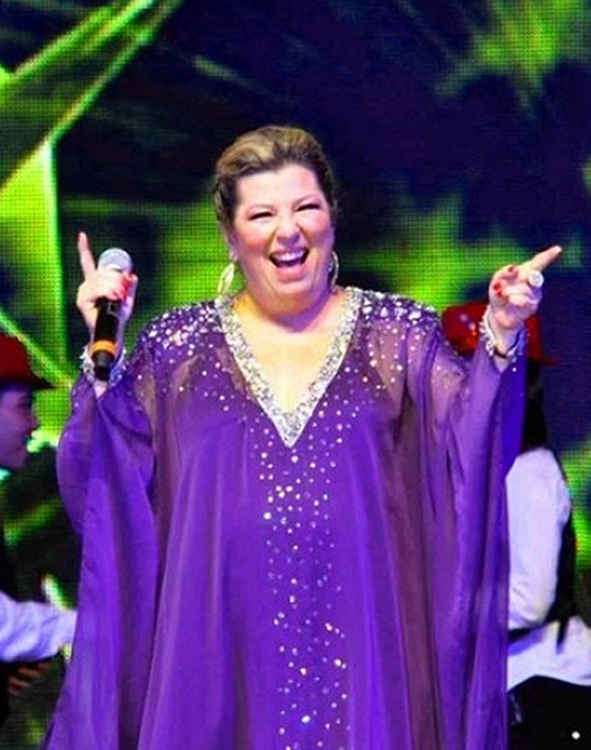 Women identify with her when she sings to the “scoundrels” and “treacherous”; children and young people dance and sing “El Bombón”, “Amor de Mis Amores” and “La Colegiala”. Her music is a true example of rhythmic variety. 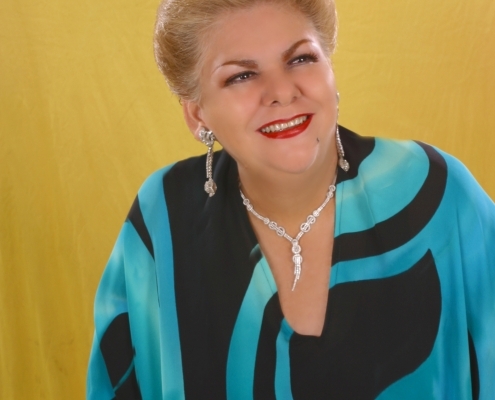 In her curiosity to explore, Margarita has recorded not only danceable cumbias, but also boleros, ballads and even vallenato. As she says: “My thing is to be open for changes and evolution, I love experimenting, playing different genres, making crossovers… being against changes is a symptom of old age”. 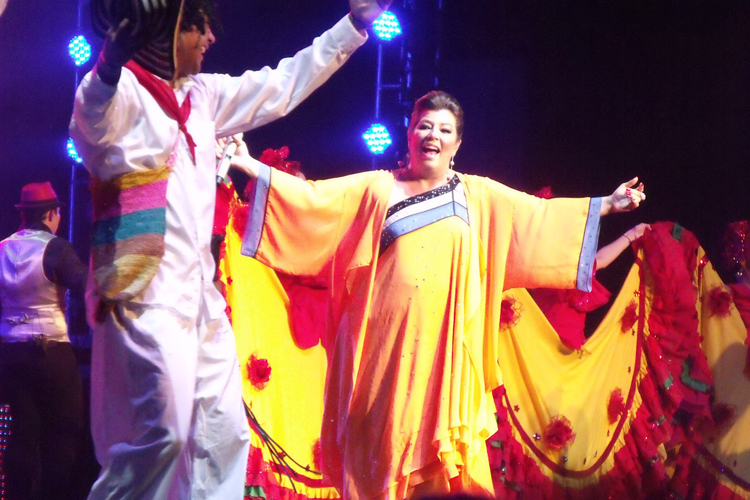 Although Margarita has devoted 30 years to tropical music, especially in the cumbia genre that has led her to become “the most beloved Colombian artist in Mexico,” she has always included in her albums a couple of romantic themes because, as she herself has stated repeatedly throughout her career, she is “a hopeless romantic” and a music passionate who likes to experiment and explore in her artistic work. “¡Por Fin… Boleros!” is a spectacular musical production that contains 12 songs mostly unpublished. Margarita’s interpretation in each song could be described as masterful on each music track she has left a piece of her soul. In this new album, Margarita had his countryman, Colombian Milton Salcedo, as the lead man of the project. Milton Salcedo is based in Miami and for over 10 years he has been one of the “Diosa de la Cumbia´s” producers and head musicians in several of her cumbia albums.